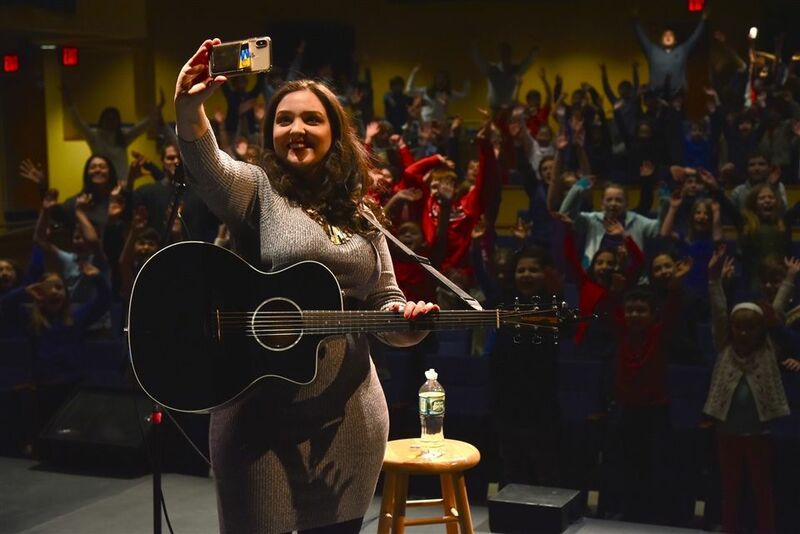 Singer-songwriter and past American Idol contestant Casey McQuillen came to Shore on January 29 to share her inspiring music and messages about bullying-prevention and self-confidence. 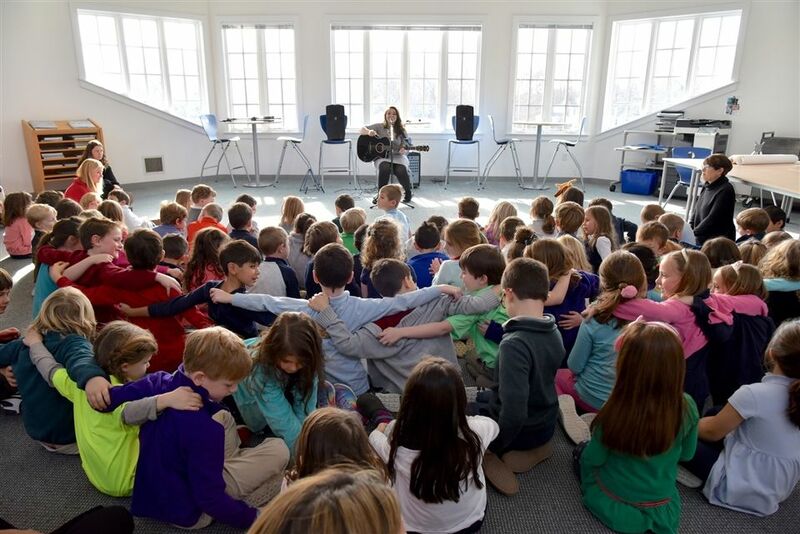 Her visit, which included three concerts along with smaller sessions with students, was part of Shore’s week-long observance of the Great Kindness Challenge. 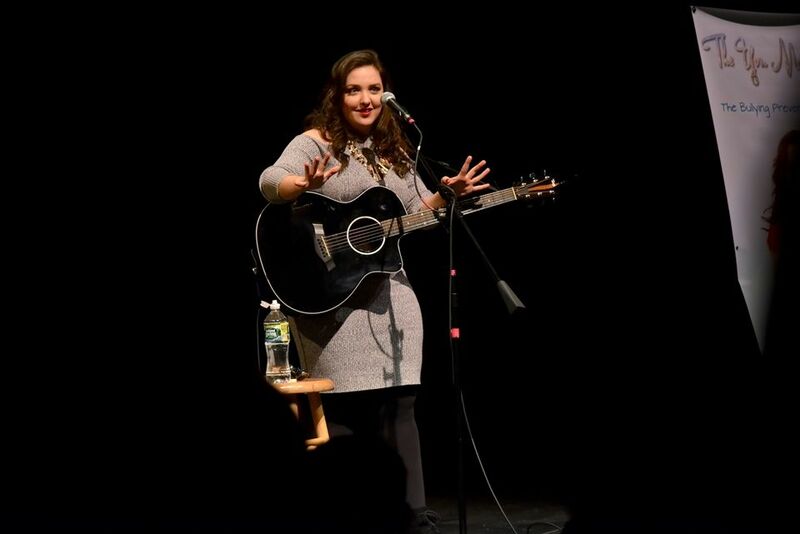 A North Shore native and a graduate of Phillips Academy Andover and Berklee College of Music, McQuillen earned national recognition as a contestant on Season 13 of American Idol and amassed well over a million hits on her YouTube channel. 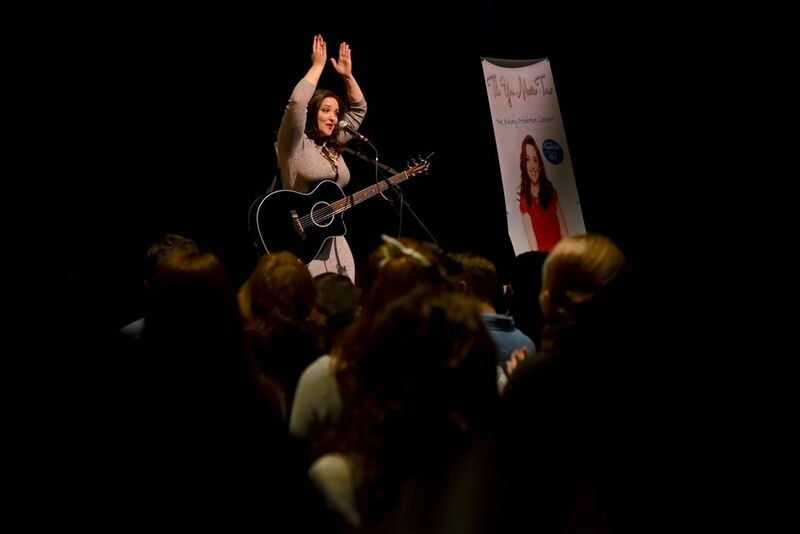 Capitalizing on the attention, she created the “You Matter” Tour to engage students at schools around the country. In her performances at Shore, she told listeners her musical career began in seventh grade, when she taught herself to play guitar and wrote her first song. At the same time, she recounted, she was dealing with bullying and anxiety, and struggled to fit in. 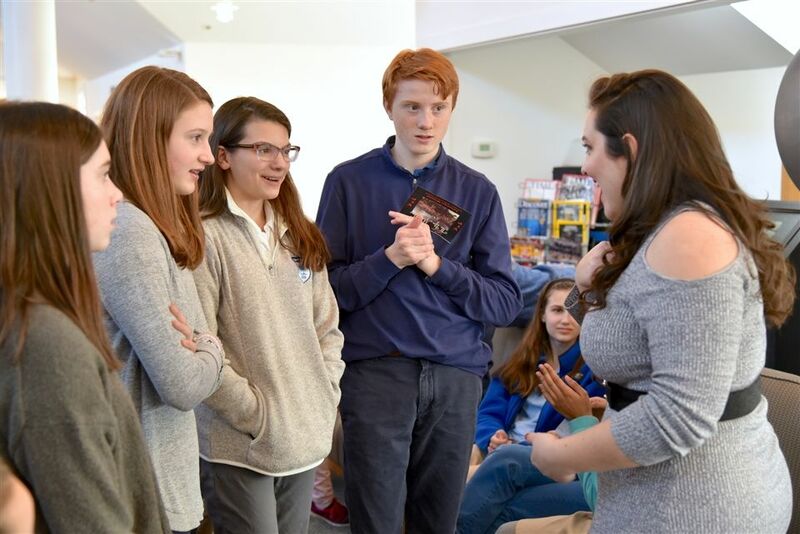 During a more casual conversation with a small group of students in Shore’s Library, McQuillen answered questions about becoming a musician, performing on American Idol, and pursuing music in high school and beyond. She generously handed autographed posters to each child in attendance, many of whom were no doubt thrilled at the chance to get to know this local celebrity.